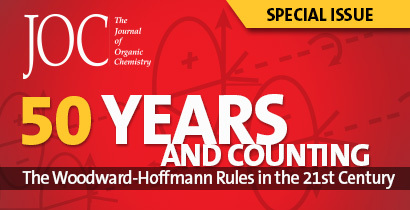 This editorial originally appeared in ACS Sustainable Chemistry & Engineering. We begin the year at ACS Sustainable Chemistry & Engineering (ACS SCE) celebrating a growing field that is playing an increasingly important role in global chemistry and engineering. In 2017, for the fourth consecutive year, ACS SCE published a record number of manuscripts, covering topics including, but not limited to, atom economical chemical transformations using novel catalysts, use of biorenewable feedstock in fuel and chemical manufacturing, benign solvents, synthesis of sustainable chemical processes, novel electro/photocatalytic processes for H2O and CO2conversion, and use of advanced nanomaterials for sustainable chemistry/engineering applications. Our authors have drawn increasing attention to the journal and the field by making fundamental advances in these areas and by developing innovative and sustainable chemical products and processes. This increased attention is evidenced by the journal’s impact factor, which rose to 5.95 this year and continues on an upward trajectory. We are grateful to our authors, reviewers, early career board and editorial advisory board members for their valuable contributions in enhancing the visibility and impact of our journal. As our field continues to grow and evolve, ACS SCE will seek to engage our authors, readers, and reviewers in guiding that evolution. One of the most important components of our field’s evolution will be an increased focus on quantitative sustainability metrics. Such metrics are not only essential for validating a new process concept or product but also essential to identifying environmental hot spots that guide science and/or engineering approaches to continually improve sustainable performance. In our January 2017 editorial, we noted that we would encourage authors to develop and use metrics that quantify the improvements in sustainability made possible by their research. We also began to solicit input from reviewers about whether papers submitted to the journal effectively used sustainability metrics. This year, we will continue this commitment to advance the use of sustainability metrics. We will publish a virtual special issue dedicated to the development and use of sustainability metrics. The special issue will include new review articles and case studies; it will also showcase recently published work in our journal that has advanced the development of sustainability metrics. When that special issue is published, as editors, we will simultaneously change our guidance to authors and reviewers. We will provide a variety of rubrics for reviewers to apply when evaluating the use of sustainability metrics in manuscripts submitted to the journal, and we will recommend that authors review these rubrics as they are preparing their manuscripts. While we will continue to recognize that the use of sustainability metrics will not be possible or necessary in all cases, we will increasingly consider the use of sustainability metrics in guiding our editorial decisions. Our editorial team believes that encouraging the expanded use of sustainability metrics will be an important part of the evolution of the journal and thereby our field. We welcome your suggestions and inquiries (please email us at ACSSustainable@acs.org) and look forward to meeting many of you at future scientific meetings.